The exceptional AF-S VR NIKKOR 200mm f/2G IF-ED combines an ultra-fast f/2 maximum aperture, superior NIKKOR optical design and Nikon’s Vibration Reduction (VR) image stabilization for unrivaled prime telephoto performance. A flagship of the NIKKOR lineup, it’s a favorite of professionals and serious shooters seeking amazingly sharp images with beautiful depth of field in any setting. It’s ideal for low-light sports and concert photography, subject-isolating portraits and much more. Nothing enhances the defining moment of a photo quite like a tack-sharp subject on a smooth blurred background. With an incredibly fast f/2 aperture, the AF-S VR NIKKOR 200mm f/2G IF-ED delivers these results and more. Superb low-light performance, Nikon’s superior Vibration Reduction (VR) image stablization technology with panning detection, legendary NIKKOR optics and more ensure you’ll achieve truly stunning results no matter what the subject or shooting situation. 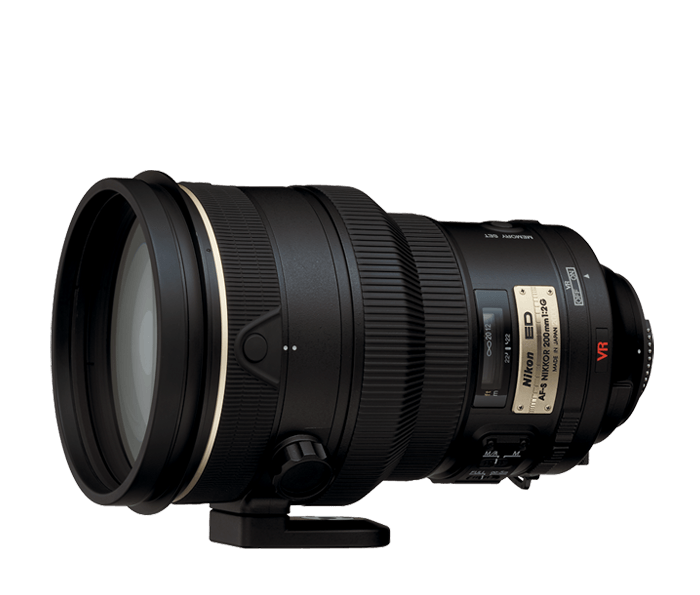 The AF-S VR NIKKOR 200mm f/2G IF-ED combines legendary NIKKOR optics with a host of advanced Nikon lens technologies to help produce exceptional images in challenging situations. Vibration Reduction enables handheld shooting at up to 3 shutter speeds slower than would be otherwise possible. Nikon’s Silent Wave Motor (SWM) enables ultra-fast, ultra-quiet autofocusing with seamless manual focus override. Extra-low Dispersion (ED) nearly eliminates ghosting and lens flare, and Internal Focusing (IF) enables the most compact, lightweight lens possible.